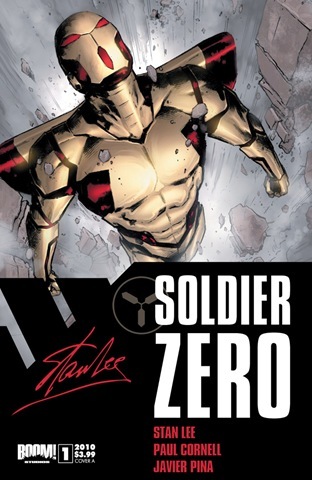 SOLDIER ZERO, written by Doctor Who and Action Comics scribe Paul Cornell with art by Superman artist Javier Pina, tells the story of a wheelchair-bound astronomy teacher who finds himself in a freak accident that bonds him with an alien weapon of war. Premieres in October. THE TRAVELER, written by Eisner Award-nominee and BOOM! Studios Chief Creative Officer Mark Waid with art by Amazing Spider-Man artist Chad Hardin, features a mysterious new superhero with time-traveling powers battling the Split-Second Men, super-powered assassins from the future. Premieres in November. STARBORN, written by iZOMBIE’s Chris Roberson with art by The X-Men’s Khary Randolph, tells the story of a regular guy who discovers he’s the heir to an intergalactic empire, putting him the center of a war between five alien races. Premieres in December. 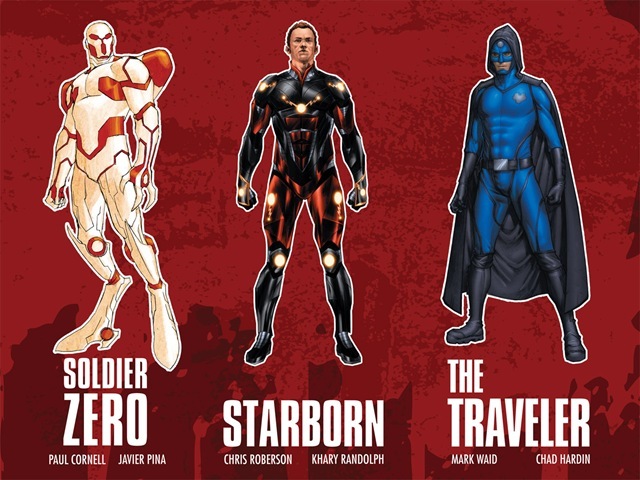 At a Comic-Con International press conference, Stan Lee revealed the character designs for all three characters and the covers for October’s Soldier Zero by Trevor Hairsine and Dave Johnson. 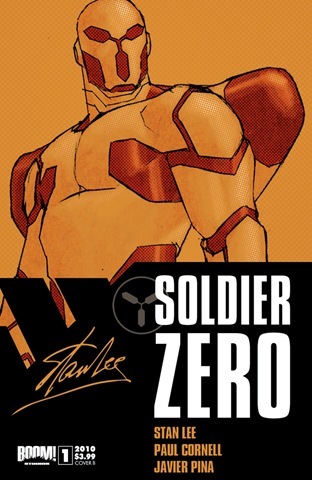 Soldier Zero #1 will also be shipping with a special cover signed by Stan Lee. Fans will need to contact their local comic book shop for more information on how to acquire this limited edition item. Previous PostComic Con 2010: The Swag! Hawaii Five-ONext PostComic Con 2010: Sam Raimi to direct Radical’s EARP!